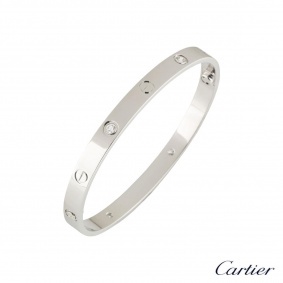 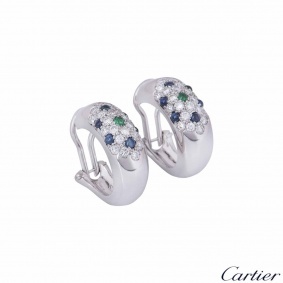 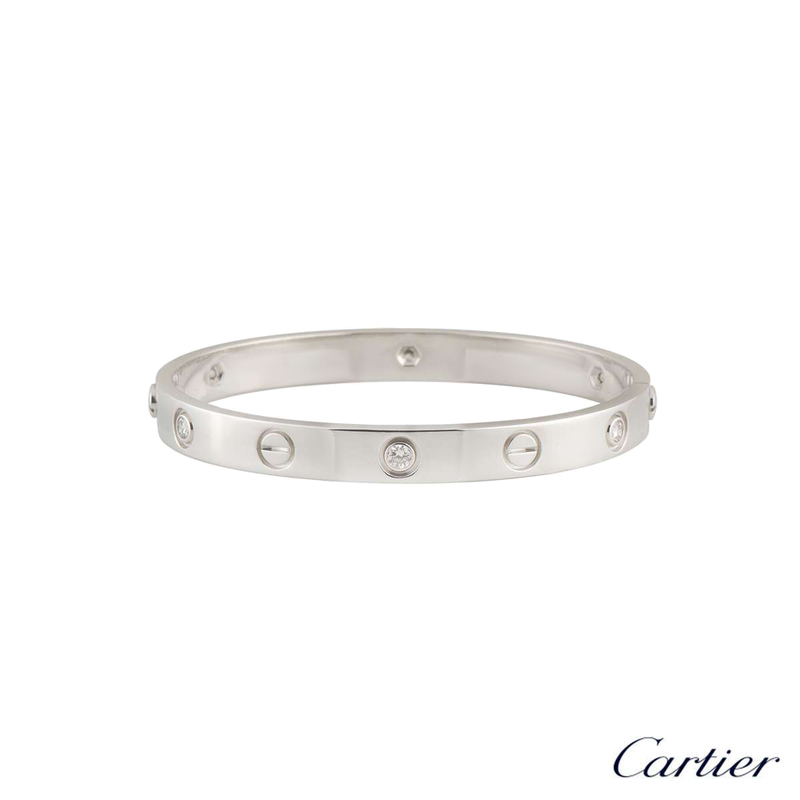 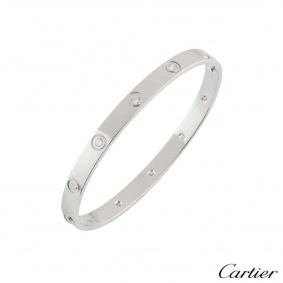 A signature Cartier 18k white gold half diamond set Love bracelet. 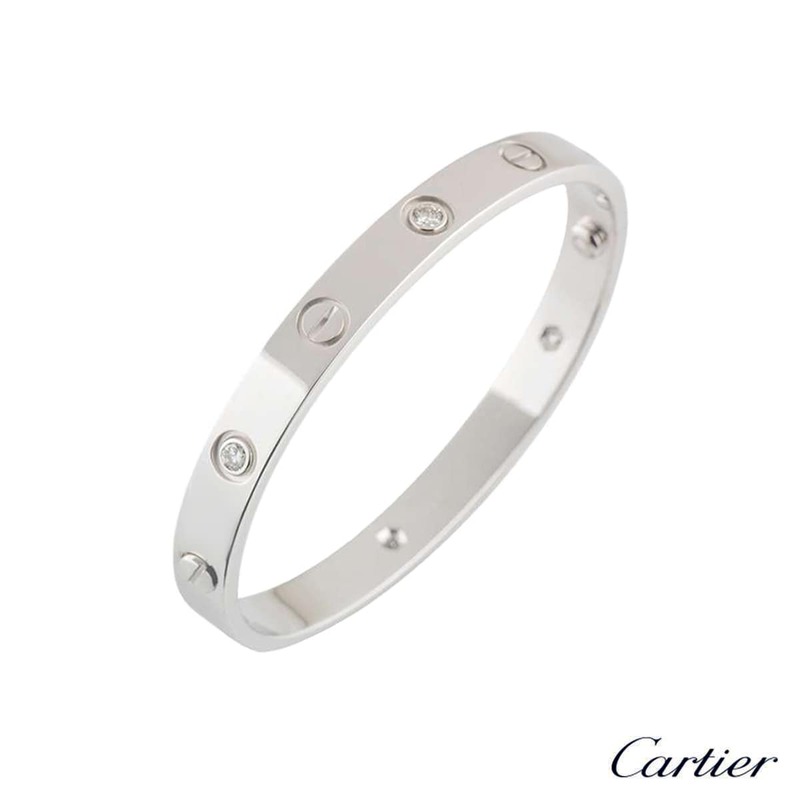 The bracelet has the iconic screw motif displayed around the outer side of the bangle interspersed with six round brilliant cut diamonds totalling 0.63. 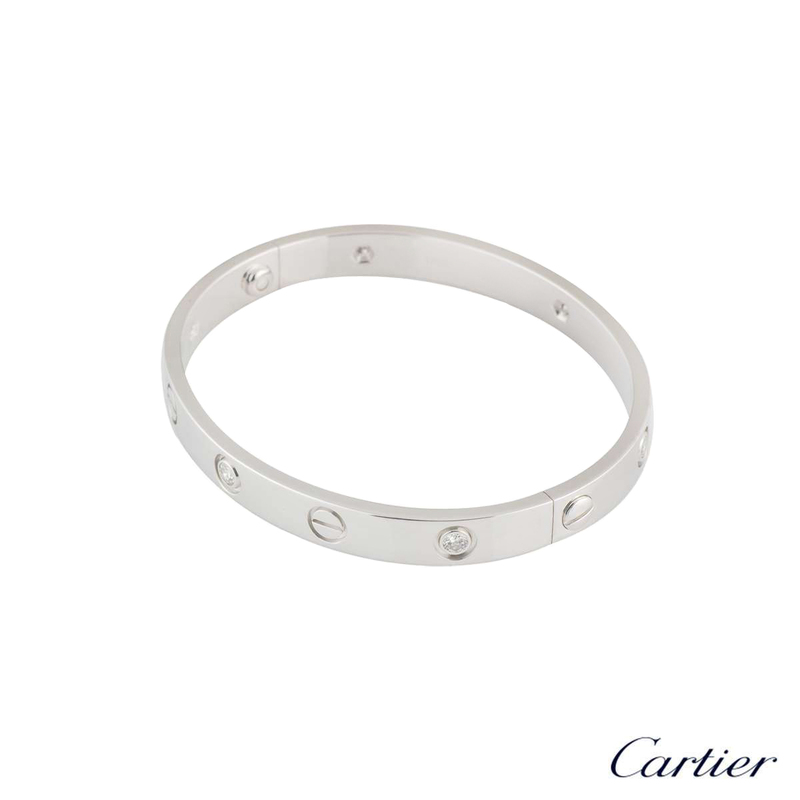 The bangle is a size 19 and features the old style screw system with a gross weight of 34.52 grams. 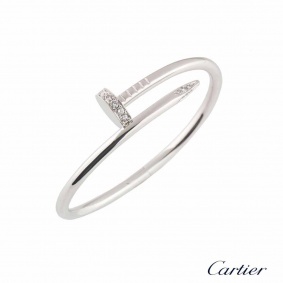 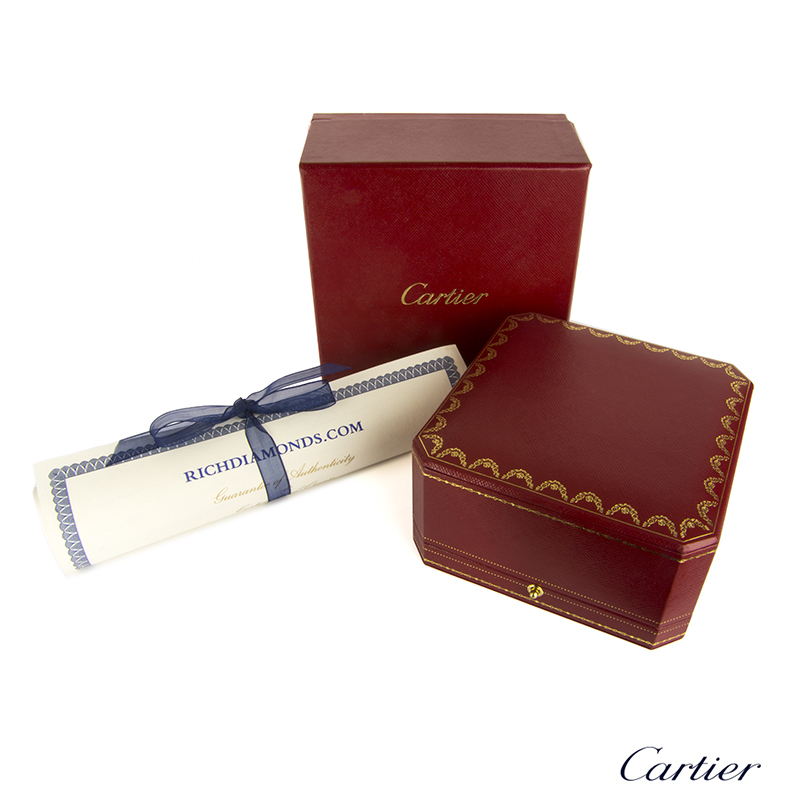 The bangle comes complete with a Cartier presentation box and our own certificate of authenticity.